The B-24 Liberator is an American four-engine, twin-tail heavy bomber, designed by Consolidated Aircraft. It was the most-produced American military aircraft, with 18,493 units made. 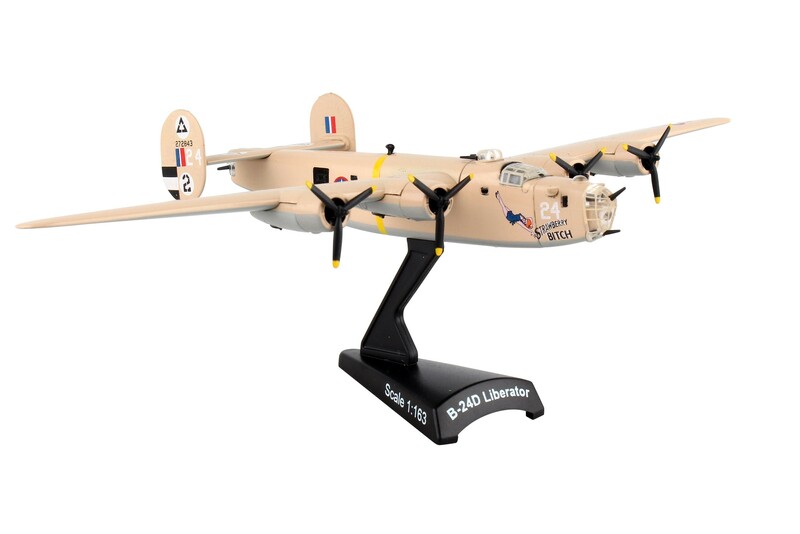 It was used extensively in World War II in every branch of the American armed forces.The B-24J LiberatorThe postage stamp die-cast metal, historical airplanes include aircraft from WWI to present. They are fully decorated with authentic details and come with a display stand. Wingspans are from 4 1/2" to 8".